but I continued to the next bridge, Pont des Invalides, where I crossed over and into the quaint little Jardin de la Nouvelle France close to the Grand Palais, which is what I came to look at. Now I was on the Avenue Winston Churchill where there is in fact a statue of the man although I don’t appear to have taken a photo of him. I imagine you all know what he looked like. 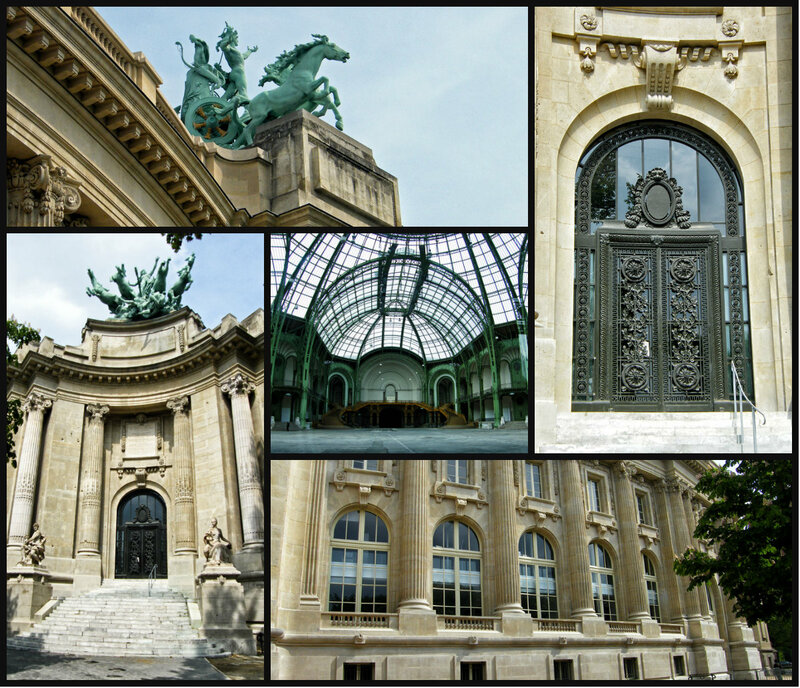 The Grand Palais¹ ( a large historic site, exhibition hall and museum complex was built in the neo-classic style in 1900 for the 1900 Exposition Universelle) was in the process of being restored and will more than likely be open to the public now. I was only able to wander around outside and peep into the ground floor and see the huge nave and the amazing staircase opposite leading to the balconies. I spent quite a lot of time here! Opposite is the Petit Palais, a richly decorated 1900 building, housing eclectic fine arts dating from Renaissance to 20th century. Spin around to face the river and you will see the magnificent Pont Alexandre III, an ornate, late 19th-century arched bridge in a Beaux Arts style and named after a Russian Czar. In the distance is Les Invalides where Napolean’s tomb lies. At this point I was aiming for the Avenue des Champs Élysées and the gardens. The current appearance of the gardens dates from 1840 but its origins go back to the seventeenth century. Even the lamp-posts are worthy of a photograph! Crossing the avenue I entered the gardens, stopping in Square Jean Perrin to admire a pretty building with a golden cupid statue on top, ready to fire his arrows. It is a pleasant green oasis in this big city with an abundance of benches on which to sit and eat your lunch or read a book. There are plenty of trees to disguise all the traffic close by and one or two fountains, including this one of Diana. Beyond this fountain is a theatre and when I was there some rather strange sculptures were outside. Towards the end of the garden as you keep heading towards Place de la Concorde you will see another of the Wallis fountains which I spoke about in my previous post about Paris. From Place de la Concorde I entered into the Tuileries Gardens and made my way to the Musée de l’Orangerie which is where I shall leave you whilst I head inside. ¹ A historic renovation project led by architect Umberto Napolitano will allow the Grand Palace to recover its original grandeur. It will close at the end of 2020 to reopening in the spring of 2023. And I am hoping to have another walk for you next week from the last garden we managed to get to before this horrible week of wind! Looked it up as I have not heard of the plant and see it looks a bit like a trumpet vine. Yes, it does a bit but it’s not in flower yet, and it’s dark again! 🙂 🙂 Sorry- busy day! Excuses, excuses… it’s no good. I am going to have to come out and see for myself. This is all very familiar. 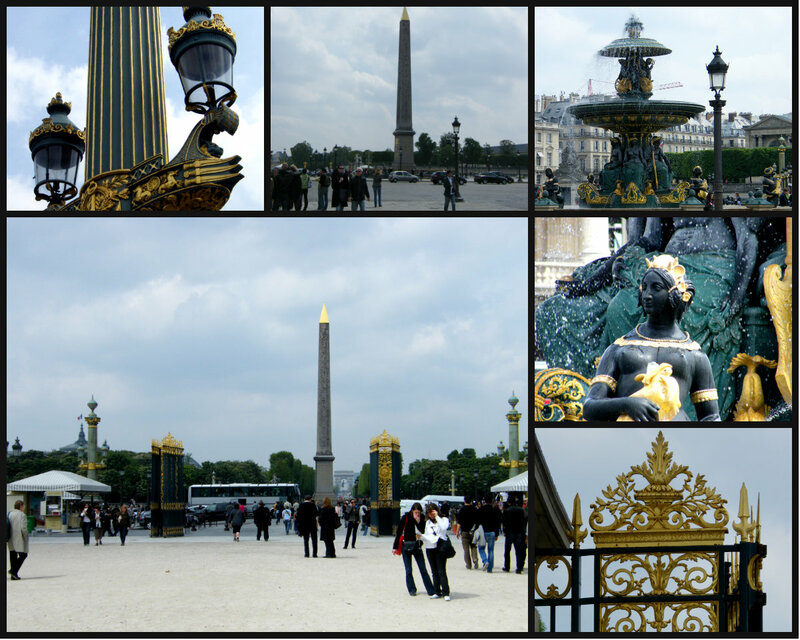 We stayed in a little hotel just around the corner from the Place de la Concorde and walked around this area many times. Paris is so pretty. There are some very lovely spots in Paris. Still many parks that I haven’t been to. What a lovely tour you took us on, Jude. It shows just how important it is to actually walk around a city too. I always walk around cities, though we did take the tourist bus in Barcelona to get out of the inner city area. I love to find different things that a lot of tourists might just walk or drive past. *sigh* This makes me long to return. So much beauty! A long way for you. Not so for me, but I have still only been there three times! … but then again, I can see how that happens. Like me with going to Montreal. Thanks for the memories, Jude! 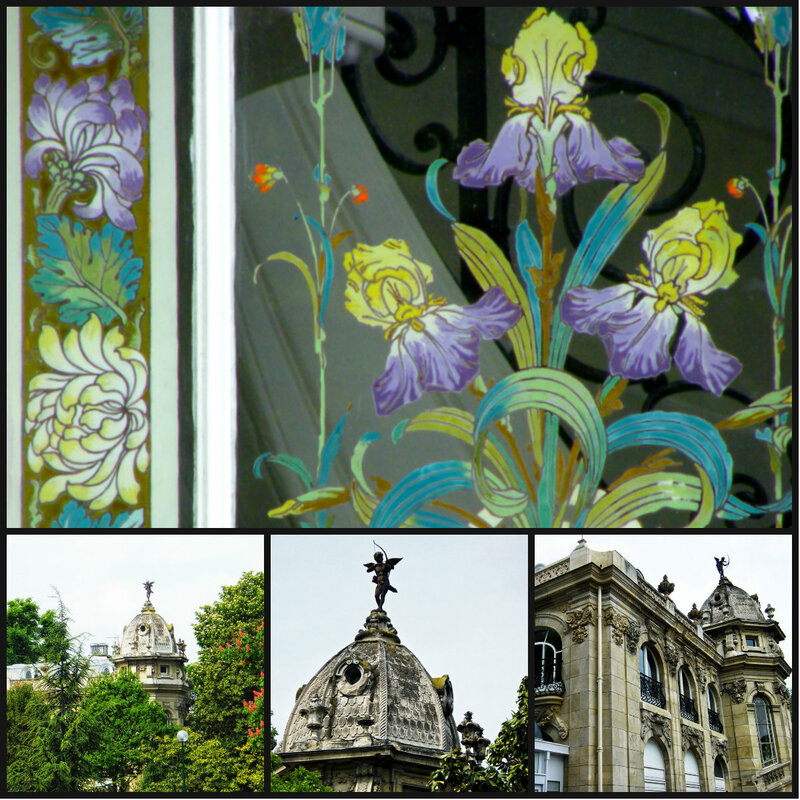 I love Paris and my two visits there, so these pictures are happy reminders. I love the Jacaranda trees around the Eiffel Tower. All your photos are great. When were you in Paris? Last visit was 2010 in April. It doesn’t seem that long ago though! How the time flies, doesn’t it?